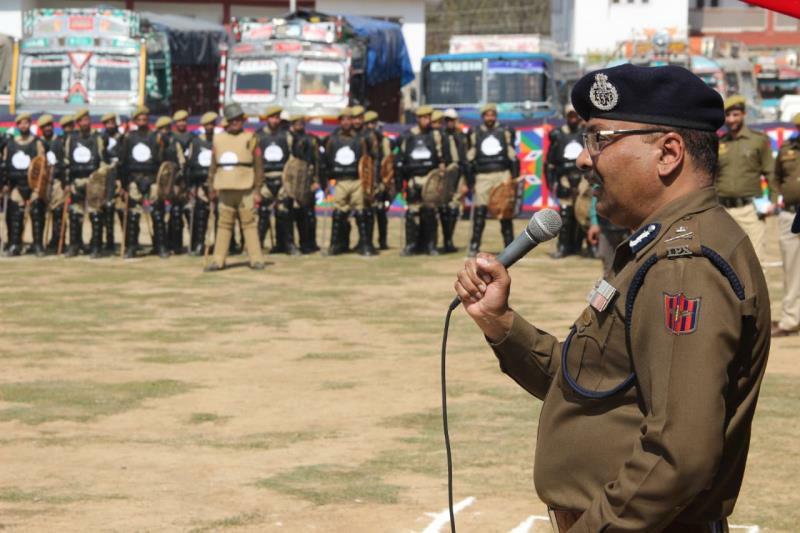 Jammu, April 04: In view of the upcoming Lok Saba General elections, Director General of Police Jammu and Kashmir, Shri Dilbag Singh visited North Kashmir’s Police District Handwara and reviewed the security arrangement in the area. DGP was on third day visit to districts of North Kashmir to review the security arrangements put in place for upcoming Lok Saba elections scheduled to be conducted on 11th of this month. He was accompanied by ADGP Armed, Shri SJM Gillani IGP Kahmir Zone , Shri S.P Pani and DIG North Kashmir, Shri M Suleman Choudhary. 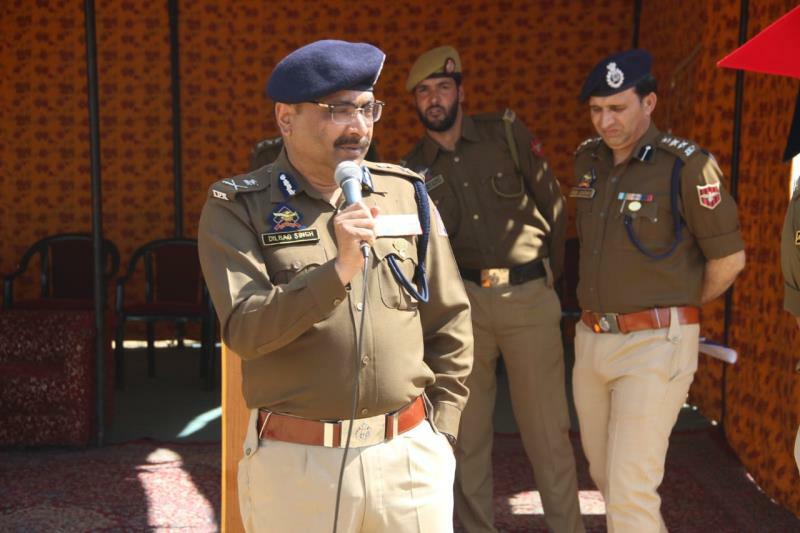 Earlier, SSP Handwara, Shri Ashish Kumar Mishra apprised the DGP about the security measures being adopted by District Police Handwara in order to ensure peaceful conduct of the elections.